Every new website owner has the same question, “How do I boost traffic to my website?” This may be easy for web experts and SEO masters to attain, but I’m sure you’re asking, “What about me?” If you have no prior experience starting a new WordPress blog or are struggling with your current traffic, don’t worry, you are not alone in this struggle. Everyone is looking to increase blog traffic to their new site. Over 172K blogs are created daily. That’s a whole lot of competition! 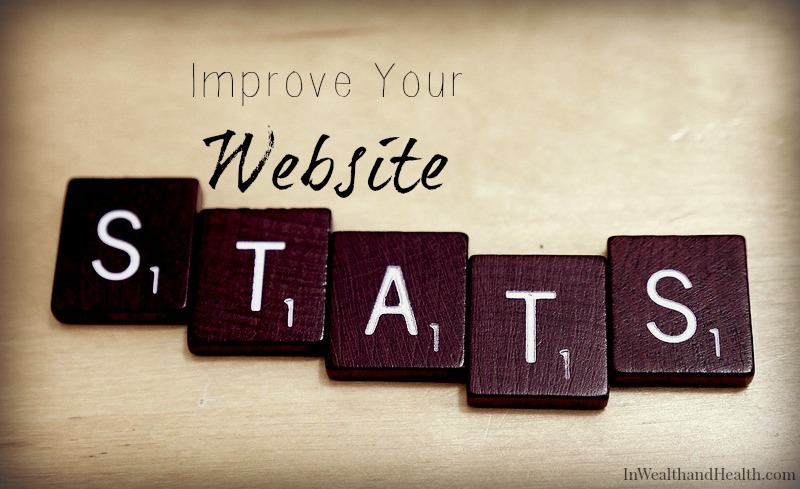 So, the question remains, how do you increase traffic to your website? There is much more to growth than writing an article and posting it to all your social media timelines. This article will teach you how to set up an amazing website, write irresistibly shareable content and increase blog traffic. All with zero blogging experience, not a bit of SEO knowledge and without a huge social media following. If you have not already locked in your domain and host, do this now. We use SiteGround’s GrowBig plan for In Wealth & Health. Why did we choose SiteGround? Once you have your domain selected and hosting setup, you are ready to get started. If you used SiteGround, you will have instant access. When it comes to selecting your theme, it’s important that you find a fast, SEO friendly theme to build upon from day one. I made the mistake of choosing a featured theme on WordPress. This resulted in slow page load and a poor mobile user experience. I quickly realized how important selecting a theme was. After days of research and testing different themes, I discovered MyThemeShop. When deciding on a theme make sure the functionality is smooth, your information is clearly laid out and is compatible with the plugins you plan to upload. In 2014, mobile views officially passed traffic from desktops. With more than half of traffic coming from smartphones and tablets, it’s critical that your theme is responsive to all platforms. Through trial and error I learned, the most important aspect that increases the success of your new website is the theme that you choose. 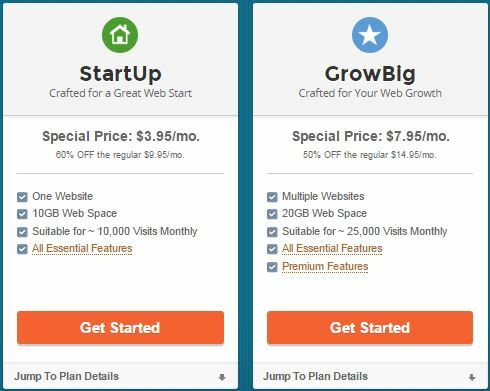 If you’re planning to spend a few bucks on start-up, spend it on your theme. We teamed up with MyThemeShop to offer 20% off the theme of your choice. 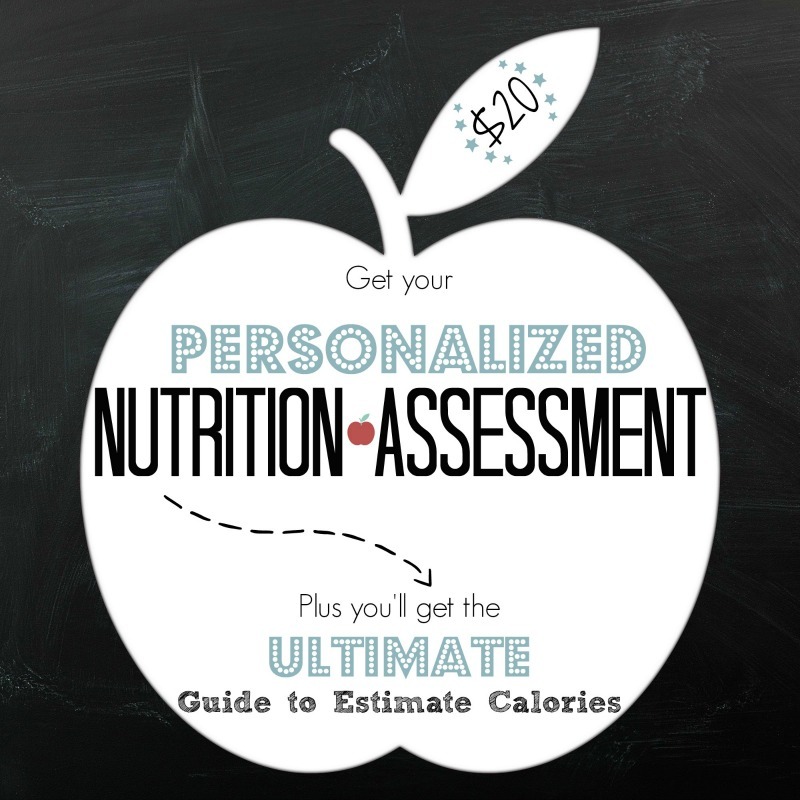 Use the coupon code InWealth&Health during checkout. The following are the 3 most important plugins installed on In Wealth & Health. Later on in this article, you will learn why page speed is so important. For now, know that WP Super Cache makes increasing page speed simple. I chose WP Super Cache over the other options because it worked best with with our theme and plugin combination. I ran speed tests on Pingdom with each of the highly rated cache plugins. None compared to the results I got with WP Super Cache. Coming in second was W3 Total Cache with a page load time about 1 second slower. WP Super Cache is very easy to setup, with it’s detailed installation guide and in dashboard FAQ. This makes optimizing your website a breeze. 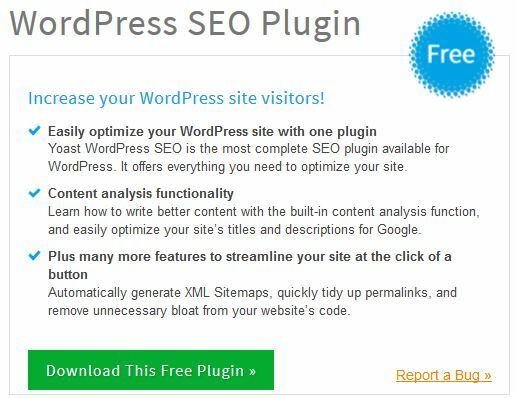 A single plugin could slow down your website dramatically. Play around with several of the cache plugins, run speed tests with each one to ensure correct functionality. I recommend installing your cache plugin last and run tests once your site is fully designed. SumoMe is a valuable tool to have installed on your website. To build a successful blog, people need to be able to easily share your content. And the most shareable content on your website are the photos. After scouring the internet for image sharing plugins and experimenting with several others, I found SumoMe Image Sharer. Have you noticed the sharing icons that pop-up on each image throughout our site? That is SumoMe doing it’s magic. Take it for a test drive with the image below and see how it works! SumoMe has an easy-to-use interface, works on all platforms and is completely free. They also offer several add-ons to help increase shares and grow your audience. Here is a great article on all the features of SumoMe Image Sharer. Search engine optimization (SEO) helps Google and other search engines understand the content on your website. Yoast comes with everything you need to create amazing on-page SEO. After running tests with all the big players, I decided to go with Yoast WrodPress SEO. With it’s user-friendly layout and in-depth tutorials, Yoast made it easy. If you don’t know what canonical links or XML sitemaps are, don’t worry, Yoast will walk you through the whole process. The in-post dashboard is one of the best features. Yoast provides clearly labeled boxes that remind you to fill out all the important factors which help boost your SEO. The analysis tab will rate your post and tell you exactly what to change if you want to rank higher with search engines. Search engine optimization is not a sprint, it’s a marathon. Start with great SEO from the beginning and you will see results in the form of traffic from search engines sooner than expected. Once you are happy with the look and feel of your website, make sure your selections all work together. Your webpage may look amazing, but if it takes forever to load, not many people will stick around to experience the masterpiece you’ve built. The ideal page load time is two seconds or under. 47% of users expect a page to load in under two seconds. As mentioned before, I made the mistake of selecting one of the “Popular Themes” in WordPress when launching my first website. The load time was over 13 seconds! How long would you wait for a site to load before hitting the back button? When your blog is brand new, page speed can make or break your growth results. Why? 40% of people abandon a website that takes more than three seconds to load. Want to know where you currently stand and how to improve it? Pingdom is the ultimate resource for this. Just type in your domain and start the test. 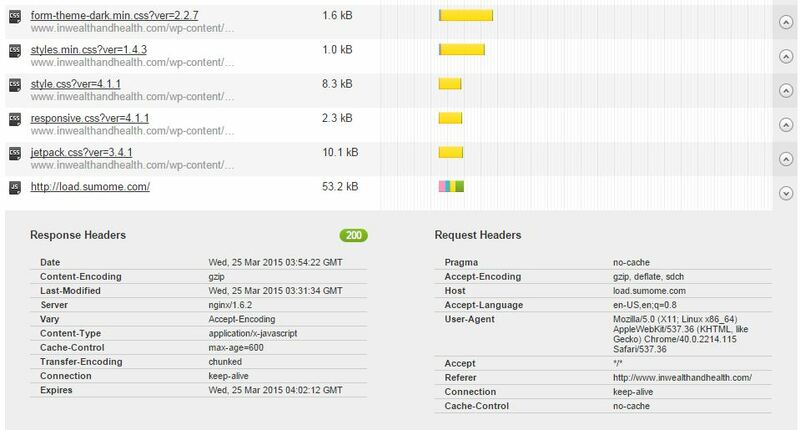 Once complete, Pingdom will show you detailed results on page load times in a waterfall format. This is where you get to see how long it takes to load each of the plugins and if they’re worth the time it takes to load. Run the test four to five times and average the load time results. 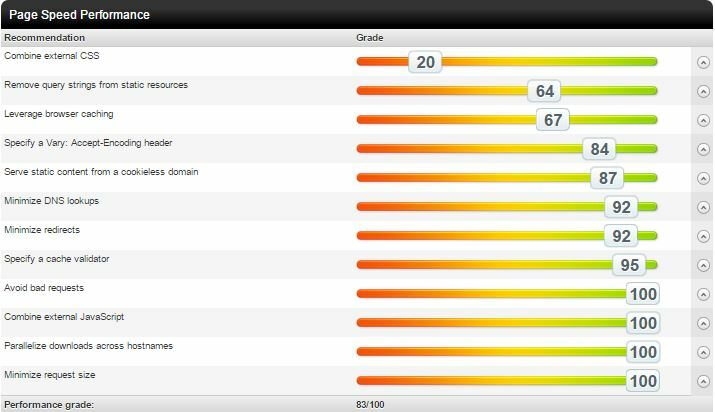 Pingdom will provide you with a grade and recommendations so you know exactly where you need to improve. As mentioned before try a couple different cache plugins. Experiment with different settings. Run the above test with each set-up until you find the combination that yields the fastest load time. By selecting the right theme, experimenting with plugins and utilizing Pingdom, I was able to reduce the load time on In Wealth & Health down to just one second. Setting up your webpage, optimizing page load time and maximizing user experience is a lengthy process, but it’s important to take the time to get this right from the start. With these elements in place from day one, you will see a higher rate of return visitors, lowered bounce rates and increased social shares on your content. When you’re writing articles, think about the value it will deliver to your audience. 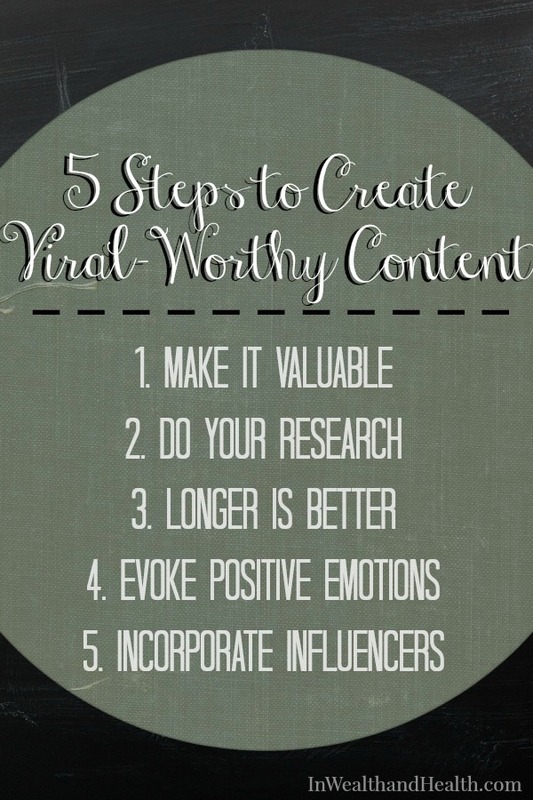 If your content has true value to those who read it, they will feel more inclined to share it. So, how do you do this? Think about common problems in your niche. Have you overcome any of these problems yourself? Articles which help others solve a problem are among the most shared content on the web. The bottom line is, if your posts do not create value for the masses, then you should just be writing them in your personal diary. People love credible content. If you write a post with a ton of research-based statistics and links, it will be useful to others and they will be more likely to share. List posts are very popular today. No mater what your niche is, you can always find a great list post topic to research and write about. 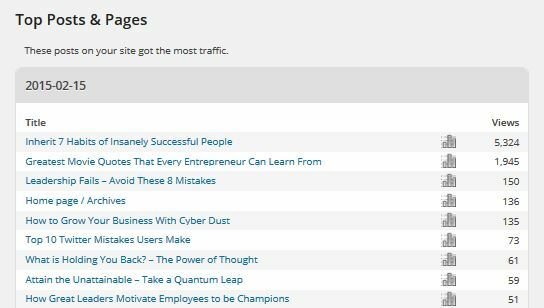 When I originally posted Inherit 7 Habits of Insanely Successful People on FieldofSuccess.com it was viewed by over 5,000 people in the first 24 hours. I spent roughly 20 hours researching, writing and editing this article but the time spent definitely paid off. The more research-based content you can provide to your audience, the more traffic you will get to your website. When it comes to writing content, you need to invest time and effort into creating great articles. It is proven that longer content gets more shares, backlinks and views. A study completed by BuzzSumo showed longer content is associated with receiving more shares. Over 100 million articles were analyzed, here are the results. In another study by SERPIQ they found that longer content ranks higher in the top 10 search results. As you can see, the longer the article, the more social shares it received and the higher it’s ranked in search engine results. This doesn’t mean to stuff your posts with filler words and pointless information. The more you can fill your blog posts with helpful content, the more beneficial they will be to your audience. As shown above, this equates to more shares and higher search engine rankings. Everybody wants to feel good. If you can get someone to laugh out loud, feel joy or leave them with their jaw dropped after reading your articles, you will see great results in traffic and social shares. After BuzzSumo analyzed over 10,000 of the most shared posts and assigned an emotion to each, OkDork revealed what they found. The positive emotions of joy, laughter and awe accounted for 56% of the total shares, while sadness and anger only made up 7% of the total. I saw personal results that were right inline with this data, with “Leadership Fails – Avoid These 8 Mistakes” and “How Great Leaders Motivate Employees to be Champions“. Leadership Fails has a negative emotion in the title, and is all about bosses who do the wrong things. Great Leaders clearly has a positive title and is written with an uplifting tone. Shares and views on the Great Leaders were double that of Leadership Fails when originally published on FieldofSuccess.com. If you want to take advantage of this same strategy, drop the negative emotions; people want to be happy! The power of a single share by just one social media influencer equates to an increase of over 30% more shares. I was lucky enough in the first 90 days of starting FieldofSuccess.com to have billionaire Mark Cuban share two of my articles on Twitter. John Lee Dumas, creator of Entrepreneur on Fire, shared another. 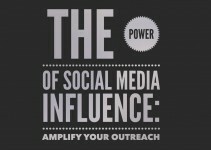 So how can you get an influencer to share your posts? Here is what I did, which you can easily duplicate. It all starts with a simple hello. For starters, follow your target influence. Re-purpose their posts with detail, showing that you read it and have input on their work. Don’t merely retweet their tweets, comment and interact with them on their blog. Figure out what they are passionate about. If you notice one of your social media heroes is constantly writing about a particular subject, this very topic should be the focal point of your next article. When I saw how passionate Mark Cuban was about his new messaging app Cyber Dust, I decided to write 6 Reasons You Need to Join Cyber Dust Now!. Guess what happened? He shared it! Before you start writing your targeted content, get them to “buy in“. Reach out to your target influencer and get their permission to be involved in the topic. This can be as simple as asking them for a photo of themselves to include in your post or for their opinion on a particular topic. I used this tactic to get John Lee Dumas involved in Inherit 7 Habits of Insanely Successful People. 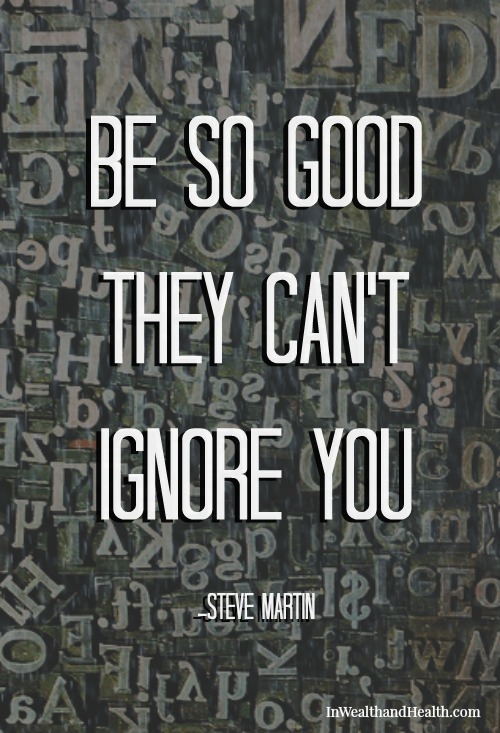 Keep them involved in the writing process. During the drafting stage of your blog post, be sure to reach out to them once or twice to keep them involved. Don’t bug them daily, just enough so they remember who you are when your masterpiece is complete. Finally, give them a “sneak peak”. When the article is complete and you hit the publish button (but before you go on a social media posting frenzy) send them a link to the final post. Include a small note saying something like, “I hope you enjoy the final product and thank you for your contribution”. If you are starting your first blog, or perhaps you are not currently getting the results you wish for, take the time to follow each key point in this guide. To get the most out of your new website and increase blog traffic, select the right host, find an ideal theme, perfect your plugin combination, minimize page load time and create viral worthy content. Every website that is now a huge success did not get there overnight and were once exactly where you are right now. I have challenged myself to prove the methods in this article work. I did it once with FieldofSuccess.com, but can I do it again with In Wealth and Health? Subscribe to our email list and when we hit the 90-day mark on June 4th, I’ll write a follow-up post with detailed information on our traffic results. If you enjoyed this article or found it helpful, please click one of the share buttons below and drop me a comment or any questions you have during your journey to increase website traffic. 6 Reasons You Need to Join Cyber Dust Now! 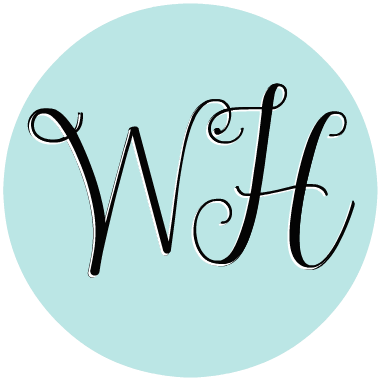 Wish I had known all these things when I was blogging! Great post! Very helpful post. Thanks for this. Glad you enjoyed it! If you have specific questions on anything please let me know. I’ve been wanting to figure out how to optimize my photos. This was the push that I needed to get it done. Thanks for all the information. And the kick in the pants I needed. That’s great Amy! let me know if you have any questions about the plugin when you get it on your site. Bookmarking this! Great post! I was so focused on what it looked like, thinking about speed and interfacing well with phones never occurred to me. Thank you! Hi Bonnie, so glad you enjoyed it! Let me know if I can help in any way. This is a great post and appreciate your sourcing. When you mentioned help, I have a follow up question. When you try to engage influencers, how long of a relationship on their blogs and through twitter, etc did it take you before you really felt comfortable approaching them about your idea? Hi David, Thanks for your nice feedback. The bigger the influencer the less likely they are going to respond to you if you just try to contact them on social media, that’s why I suggest their blogs. With each it will be different. Just make yourself known to them for a decent amount of time 2-3 weeks. When I approached John Lee Dumas from E on Fire, I had been Tweeting his podcast after I listened to them each morning, and I noticed he started to favorite every single one I posted on Twitter, then he added me about a week or two later… that’s when I decided I could ask him since I was on his radar as someone beyond another random follower. With Mark Cuban I had more of a hunch and knew how passionate he was about the subject I was writing on and I just figured he would share it. Hope that helps! 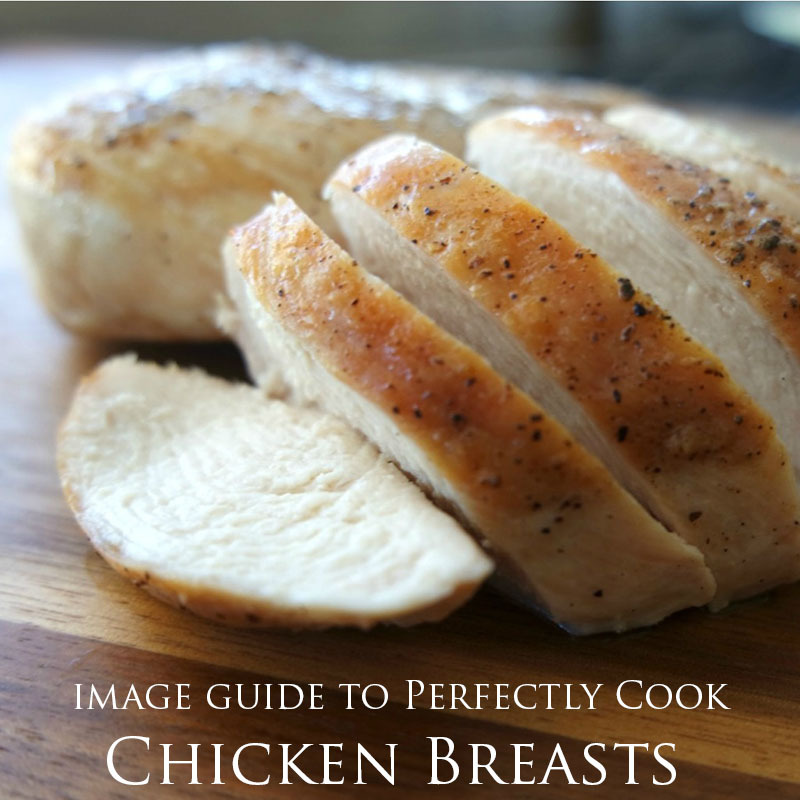 Wonderful guide for starters, hope i had come across this article before i started blogging it would have saved my lot of time. I loved this article and thought you would too. Here it is Increase Blog Traffic – Concept to 30K Views in 90 Days located at http://www.inwealthandhealth.com/increase-blog-traffic/.